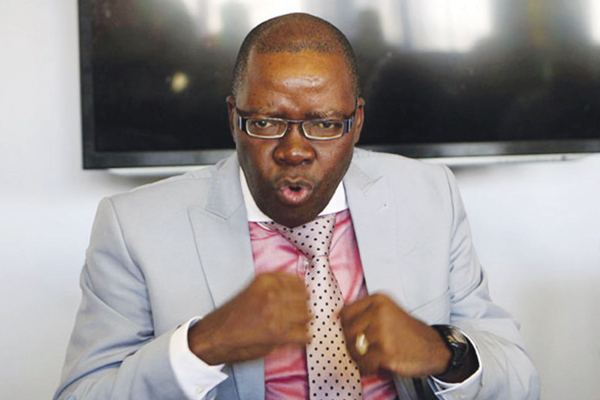 DC Deputy Chairman Tendai Biti is now the most powerful politician in Zimbabwe, more powerful than both President Emmerson Mnangagwa and MDC president Nelson Chamisa, a ZANU-PF activist has said. This comes as the US Senate Foreign Relations Committee yesterday emphasized their terms of engagement that can lead to America being a development partner with Zimbabwe and see the removal of economic and trade sanctions, with Biti’s name being mentioned by a top US government official. Addressing the U.S. Senate Committee on Foreign Relations, Deputy Assistant Secretary of State for Africa Matthew Harrington said, “There are several steps the government of Zimbabwe could take that would send a strong signal to its own people and to the international community that it is serious about taking the country in a new, more positive direction. Lumumba said that the American government have made President Mnangagwa’s life harder using a kind of bull-horn formation tactic: “The Americans want Vice President Constantino Chiwenga thrown under the bus (using the Commission of Inquiry findings). “This is a good way for the Anericans to split President Mnangagware and his deputy Chiwenga, but also for them to avert a Chiwenga presidency. Addressing the U.S. Senate Committee, Harrington also said America is seeing a lot of positives on commitment but no action from Zimbabwe. He added that they still have a long way before they come to the table to talk about loans to Zimbabwe. “The United States wants a stable, peaceful, democratic Zimbabwe that is genuinely accountable to its citizens and responsive to their needs.